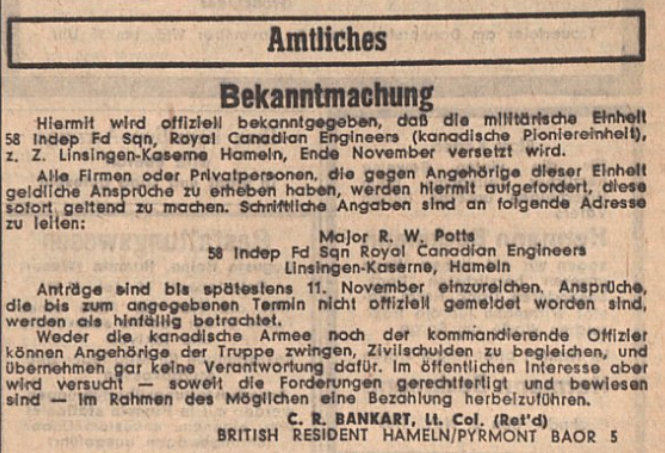 Gestern am 02.11.1953, also vor 62 Jahren berichtete die DEWEZET über den Abzug der 58 Independent Field Squadron Royal Canadian Engineers! Yesterday, 62 years ago the local newspaper reported about the leaving of 58 Independent Field Squadron Royal Canadian Engineers. Ich suche aus dieser Armee einen Mann/Soldat/offizier, der eventuell meine Mutter gekannt hat. 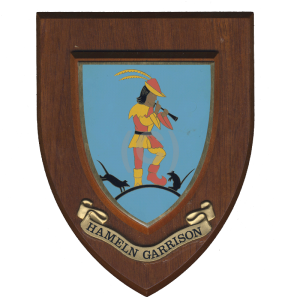 I can therefore confirm that the Canadian 58 Field Squadron, 0art of 27 Canadian Infantry Brigade, was stationed in Hameln in the 1951-53 era.